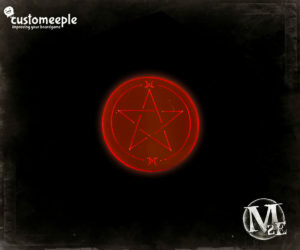 Token to indicate stalked effects in Malifaux. 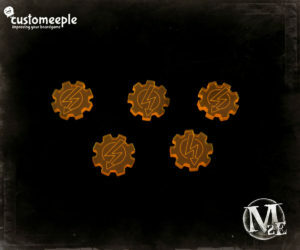 Set of tokens to indicate Costumes effects in Malifaux. 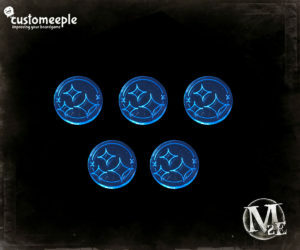 Set of tokens to indicate “distraction” effect in Malifaux. 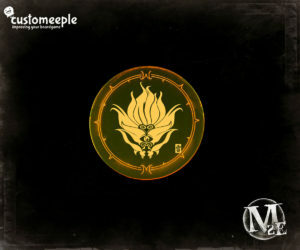 Set of tokens to indicate brillance status in Malifaux. 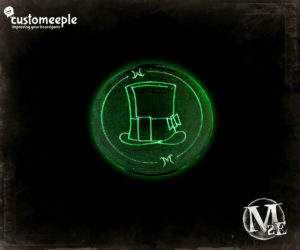 Set of tokens to indicate hat location in Malifaux. 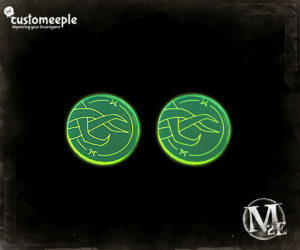 Set of tokens to indicate “I can hear them” effect in Malifaux. 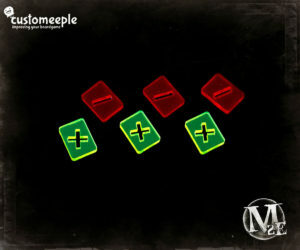 Tokens to indicate Paranormal activity in Malifaux. 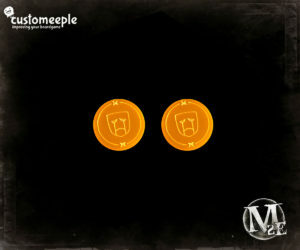 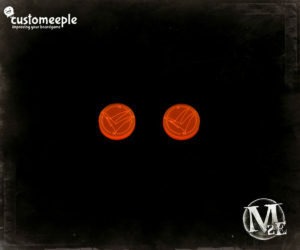 Set of tokens to indicate Melancholy effects in Malifaux. 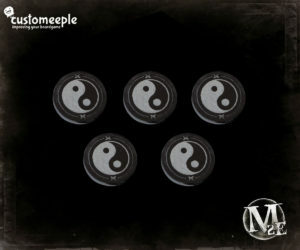 Set of tokens to indicate Chi focus in Malifaux. 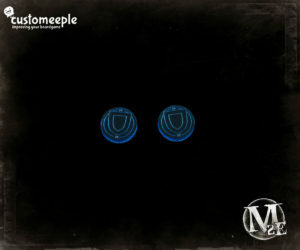 Set of tokens to indicate Mood swing status in Malifaux. 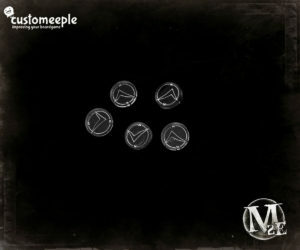 Set of tokens to indicate flip modifiers in Malifaux. 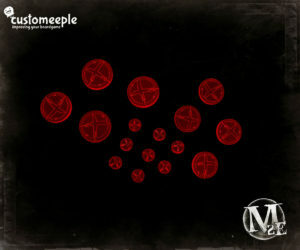 Set of tokens to indicate Blight in Malifaux. 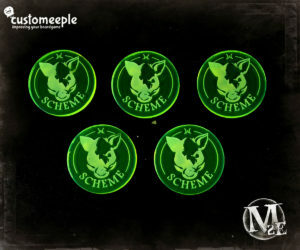 Set of tokens to mark activations in Malifaux. 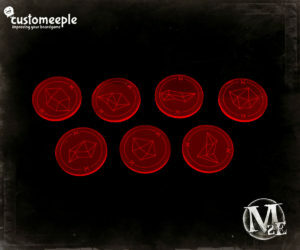 Set of tokens to indicate wounds in Malifaux. 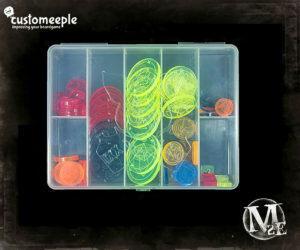 Set of tokens to indicate webs in Malifaux. 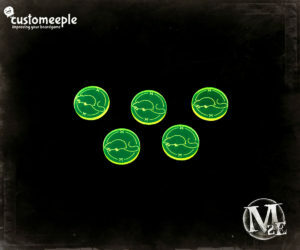 Set of tokens to indicate Power loops in Malifaux. 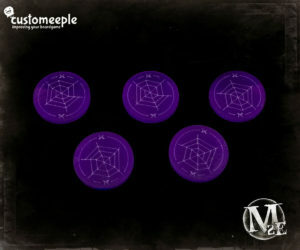 Set of tokens to indicate soulstones in Malifaux. 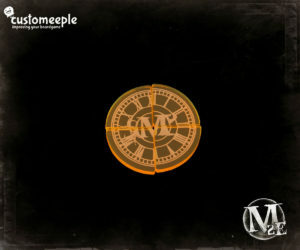 Set of tokens to indicate defensive status in Malifaux. 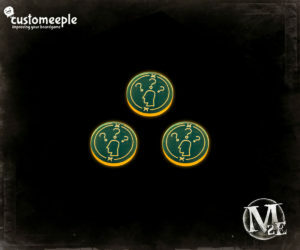 Set of tokens to indicate reactivated miniatures in Malifaux. 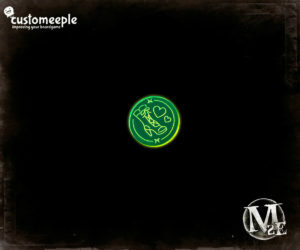 Set of tokens to indicate waken level in Malifaux. 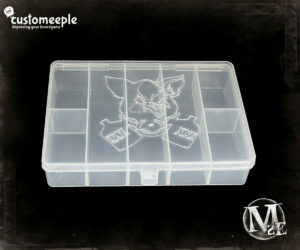 A fine selections of our tokens for Malifaux presented in a nice storage box.